March is ending real fast and pretty soon, we will be switching our calendars to April. For many, this signals the coming of Lenten Season, a religious holiday that many people observe. In these few weeks commemorating the life, death and resurrection of Jesus, you might be thinking of ways you can slip a bit of weed into your daily living. If you think you cannot consume this plant during this time, we say that you most certainly can, especially during Easter! Not sure how this figure into your Easter plans? Read on to find out. So, you are looking for a unique and fun way to celebrate Easter and you are thinking of using cannabis to achieve this. Without further ado, take a look at these tips for incorporating weed in your celebrations. 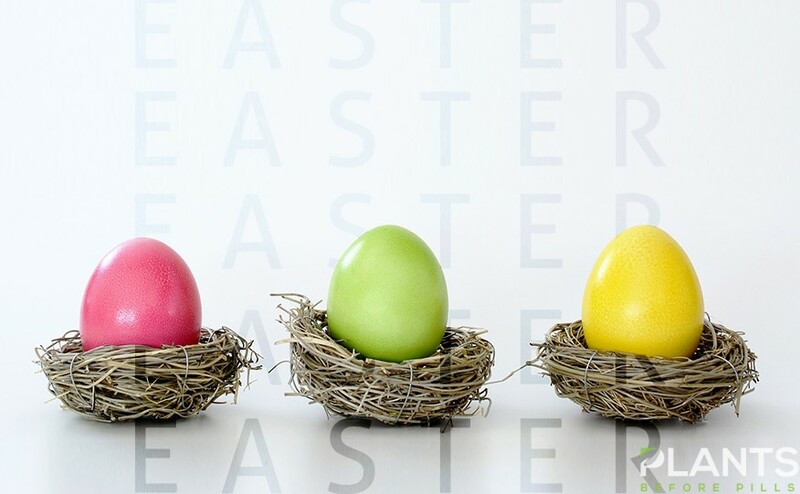 One of the most notable events in any Easter celebration is egg hunting activities and sharing baskets of treats. These eggs are often not actual eggs, but egg-shaped chocolate. In fact, chocolate is so popular during this holiday that you can even get chocolate bunnies. Instead of getting traditional chocolates, why not get cannabidiol-infused ones? You will not have a hard time finding these products especially as these are big on the market. Whole Foods is even planning to sell weed products in its stores, making it more accessible to many people. Combined with the fact that cannabinoids bind well with dairy, these will be a great option for including pot into your Easter plans. Aside from chocolates, why not create an Easter basket that contains other treats, as well? You will be glad to hear that you can now get CBD-infused gummies and jelly beans. These are a fun and tasty way to celebrate the season, while also taking advantage of what this cannabinoid has to offer. CBD jelly beans are even available in sugar-free and sour flavors, making the mix more fun and exciting! If you are celebrating the event with CBD, why not complete the cast and throw in some tetrahydrocannabinol, as well? There are a lot of THC products you can score, including a well-rolled joint of your favorite strain. This is a good way to add some fun, while keeping with the cannabis theme. Should you find blazing up a bit cumbersome during the height of the day, why not save that for later and consume some edibles with THC content? With the abundance of products in the market, you are sure to find gummies or candies with different levels of CBD and THC content. Say, you are celebrating the day with kids and you spent the day exchanging baskets of non-cannabis egg chocolates and exchanging baskets of treats without any weed in it. You might want to cap off the day with an all-adult dinner featuring the well-loved plant. There are lots of recipes you can follow while transforming them into pot recipes. Want to cook pasta? Why not make the sauce using hemp oil. In fact, this oil can be used as an alternative to whatever traditional oil you are using. For your drinks, you can definitely service some drinkables to pair with your dish of choice. If you are into beers, you should be aware that you can now purchase cannabis beers! Aside from this, you can also get weed-infused wines and sparkling water. If you prefer coffee and tea, you can opt for pre-packed cannabis coffee and teabags, or you can simply place a few drops of your CBD oil into your steaming mug. After consuming your dishes and drinks, why not end the meal with a nice dessert to treat your sweet tooth? These buds are known for being mixed into cookies, brownies and cakes, making it easier for you to get your hands on pot desserts! Easter Sunday falls on April 21. And what comes before April 21? April 20, the International Weed Day, of course! Although not as close as 2014’s Easter Sunday when the occasion actually occurred on 420, this year’s celebrations is as close as it gets. This is why cannabis enthusiasts all over the world might want to include weed in their Easter plans. Not only is it a way to celebrate the religious holiday, but also the wonderful plant that it bestowed to us by nature. After all, even if it is already 421 where you are, it surely is 420 somewhere in the world. The Lenten Season is a spiritual holiday for many. Prayers, as a form of meditation, are practised by devotees to express their unity with the occasion and the doctrines behind it. Seeing as you are celebrating this day with a plant that, sadly, many still finds inappropriate, your practice might be a little bit unorthodox. If you are looking for different ways to meditate, then using this herb just might be what you need. After all, marijuana is used by other ancient religions throughout history. In Vedic texts of the Hinduists, cannabis is considered a sacred plant, along with four others. It is even a valuable ingredient in bhang, a substance people consume to purge sins and to connect with Shiva. Aside from Hinduism, this plant is used by other beliefs such as Buddhism, Shintoism, Rastafarians and some African cultures. With these cultural and historical evidence of cannabis use for meditation, you might be looking for ways to use this beloved plant for your own Easter meditation. Doing this is extremely simple, especially with its calming, relaxing and focus-inducing effects. So, before you start your meditation, consume a bit of pot, then focus on your breathing or perhaps whisper a sort of prayer to help you concentrate on what the occasion is all about. If you think only beliefs such as Hinduism uses marijuana as a sacred plant, you might be wrong. Some historians have been looking into the oil Jesus used to anoint believers and in some, instance, to perform miracles. According to experts, the oil is derived from a plant called kaneh-bosm in Aramaic, which is highly medicinal and is a major ingredient in the anointing oil. In fact, it has nine pounds of this plant and some historians think that kaneh-bosm is actually cannabis. As people observe the Lenten season to remember the sacrifices Jesus made, then it may be appropriate to use cannabis as a way to celebrate these. Traditionally, people make their own sacrifices during the Lenten Season, aptly called the Lenten Sacrifices. These come in the form of giving up luxuries during Lent and abstaining from meat every Friday of the season, as well as on Ash Wednesday and Good Friday. Because of this, you might think that giving up marijuana for Lent is the way to go. However, keep in mind that you do not have to if you are using it for medical purposes. Before you serve your guests cannabis-infused products, the polite thing to do is to inform them what is in the food or drink they are about to consume. Remember, not everybody has been accustomed to using this herb on a regular basis. Some might have low tolerance on cannabinoids, and they might unknowingly consume more than they can handle if they do not know. Moreover, some people may be against the mainstream use of pot. Whether you are a devout believer, or you celebrate the occasion due to family traditions, make sure that you keep in mind what the holiday is for. This helps put things in perspective. By remembering what the day is all about, you can give respects to the spirituality of others, whilst still allowing you to observe the event in the way that works best for you. The Lenten Season is a time for the faithful to be grateful for what the Savior has done. Whether you are a believer or a casual participant, celebrating this holiday is a way of showing respect, but there is no need to hold off your enthusiasm for cannabis. With this guideline for celebrating Lent with this herb, you can surely enjoy what it has to offer whilst still showing respect to other people’s spirituality.